Serious Games Interactive is running up the Waste4Think game portal which displays the games produced by Serious Games Interactive for the European Waste4Think project. Can waste sorting really be fun? With Ways2Sort it can! Test your waste sorting knowledge and your ability to learn and remember which waste items belong where. Work on your high score by being faster and more accurate. Ways2Sort aims to educate children on the importance of waste sorting and how to sort waste correctly. 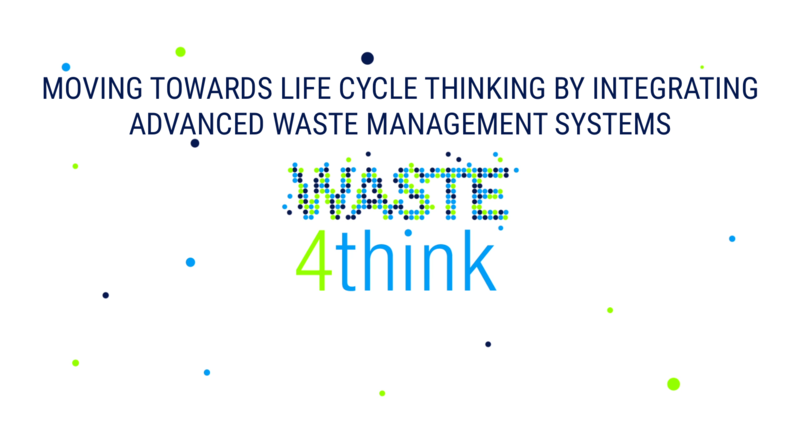 The game incorporates factual waste sorting data and methods from different municipalities, which makes it highly customisable and relevant for each individual municipality. In the game, different waste items are presented to the player, who has to figure out which waste bin to put the items into. The player is introduced to different sorting types, e.g. residual waste, glass, biowaste etc., and different environments, e.g. kitchen, garden and kid’s room. steal, discuss and compare your way to the best concept. Eco Designer aims to educate bachelor students on the ecodesign thinking and how to use tools such as the product life cycle and stakeholder network to create better and more eco-friendly products and services. In the game, the players take on the role as an Eco Design Agency and take part in a big competition against other agencies to creative a more eco-friendly version of an existing product. Through investing in different work packages, the players get the info they need and the right tools to create the best concept and win the game. Congratulations, you’ve been elected Mayor! Now you need to sit at the Mayor’s Table and make decisions that will either lead your city to prosperity or ruin. Can you balance the variables and keep your stakeholders and citizens happy? Or will you have to step down as Mayor before your term ends? You’ll be presented with a number of different dilemmas regarding waste management. You decide which dilemmas to prioritize and what choices to make. But be careful – dilemmas can expire, and your choices can have great consequences. You have to balance your scores on four different areas: Environment, Technology, Social and Economics. Neglect one, and you may be forced to step down as Mayor. The game is meant for citizens to gain an insight into the complexity of city and waste management. The player will experience how difficult it is to make everyone happy, and how there is rarely a simple and “right” solution to the issues a city is continuously faced with. In order to make progress in one area, you will usually have to give a lower priority to another area and make someone unhappy. By giving a greater understanding of these complexities, the game can change the player’s attitude and behavior with regards to changes made in their city in real life, and thus make them more receptive and accepting towards new waste management initiatives and projects. Virtual Cities is a game about circular economy played by a group of 3-5 players, where the goal is to make your world as circular as possible by following 7 principles about circular economy. Each player has a city that spends and generates resources both natural and man-made, in a linear fashion. The goal is to combine different strategies and technology to make their city more circular, and contribute the most to the global circularity, without knowing exactly what will happen, making choices on the go. 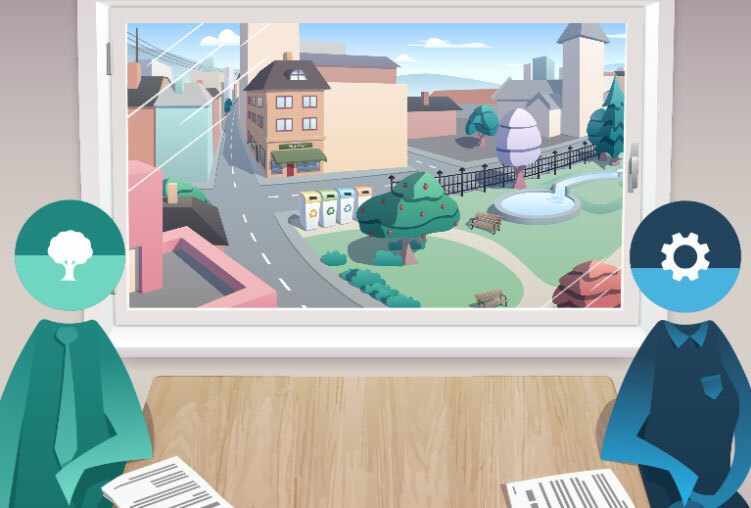 Virtual Cities aims to educate players on circular economy (CE) principles in cities, and to understand how CE principles can be used as strategies to increase circularity, but also show the barriers and complexity of carrying out these strategies. Serious Games Interactive is an award-winning, research-based developer of games, simulations and virtual worlds. We offer a unique blend of competences within the field of education and games. Our main focal point is to utilize technology and game mechanics to bring ideas to life in engaging educational solutions and various environments.